Alaric Trader ⋆ Online Stock & Option Trading for Active Day Traders. Alaric Trader, a multi-platform broker-dealer, is part of Alaric Securities group, providing prime and electronic brokerage solutions for professional and active traders. We provide Sterling Trader, Sterling LST (Lightspeed) and REDIPlus Direct Market Access (DMA) professional electronic trading platforms with lowest commissions and best executions available globally. Our servers are located directly in NYSE, NASDAQ and Frankfurt, providing the fastest execution speed for all the markets. With our extensive broker connectivity, our clients are able to access over 100 order routing destinations, including all U.S. exchanges and deep liquidity dark pools.  Alaric Trader is known for providing low cost and discount trading conditions, customizable leverage for all its clients and direct 24/7 link and access to your trading account with Alaric Visa/MC Debit Card. Alaric Securities is an EU licensed broker-dealer based in Sofia, Bulgaria. We employ over 100 professional traders, asset and portfolio managers. Our employees have completed bachelor’s and master’s degrees in the leading U.S. universities and are pursuing the CFA designation. Our professional experience comes from working in the leading European and U.S. trading companies, investment banks and financial consultancies. Alaric Securities has the status of a premier broker-dealer in the industry. We are committed to providing our clients and partners with professional expertise, outstanding client service, and wide range of opportunities. We are aiming at setting new standards in the global investment products by carefully selecting top notch asset managers and products, adhering to the highest standards in the industry.